Coffee shop also serving shakes, frozen drinks. Menu includes gluten-free, and vegan options. Breakfast and lunch. Bar open all day. Casual restaurant overlooking the historic Northwood Golf Course. Patio and deck dining serving burgers, hot dogs, grilled sandwiches and salads. 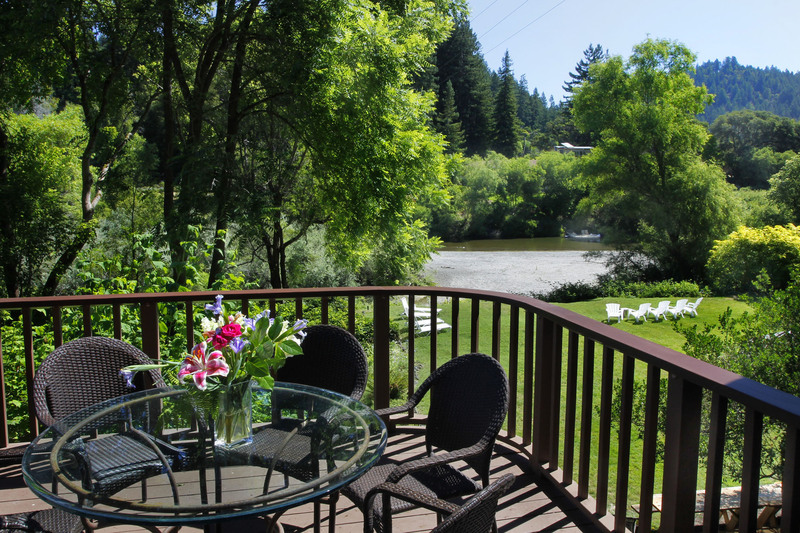 Classic American cuisine casually served indoors and outdoors overlooking the Russian River. Wine list and full bar. Limited hours – check their website for updated information.